I’m not sure where I fall among the general population, but I’m not a huge fan of Halloween. I could take it or leave it. I always felt like the concept of dressing up and going to other people’s houses was a little weird. Maybe the whole dressing up thing has something to do with my fear of mascots, but not sure. I never really looked forward to going trick or treating, maybe because I’m an only child so I always went with my parents. The last time I went trick or treating was in seventh grade, and I dressed up as a Red Sox player—go figure. For eighth grade through my freshman year of college, I stayed home and handed out candy with my mom. Halloween in college is certainly something and definitely does everyone dirty. I’ve never heard a good story come from Halloweekend. My sophomore year was my first time living on campus, and I think Halloween fell on a Thursday that year, and I didn’t go out. I stayed in and recovered from the Sox 2013 World Series win. During my junior year, it fell on a Friday, and that was the only time I really “went out” for Halloween in college. My ex-boyfriend and I went to one of our friend’s house for a party—well, it was more like ten of us dressed up and hanging out in the basement. My ex was a referee, and I went as a football player; he played football at school, so our costumes were very obvious. During my senior year, my roommates and I participated in the residence hall association’s Trick or Treat event, where students in the upper-classmen housing hand out candy to local children who come to campus to trick or treat. I got some last minute Halloween decorations at the dollar store across the street from campus and decorated before the kids came. I was part of the Mortar Board senior honor society, and we had a smaller event during Trick or Treat where we read to the kids and they got to take home a Halloween-themed bookmark. I dressed up as Minnie Mouse since I already had the ears from a class council event the year before. On actual Halloween that year, a few of my friends and I just went out to the bar across the street from school and didn’t go to any parties. The bar has an annual Halloween party but it’s normally on a Wednesday and everyone and their mother is there, so you can barely move. Not my scene. Since returning back home after graduation, I still help my mom hand out candy. I either dress up as a baseball player or a witch—I bought a witch’s hat last year. We don’t get as many kids as we used to when I was younger, so we normally have some left over candy, which I don’t mind at all. Now that I’m not actually trick or treating, I kind of like Halloween. But I always felt awkward when I was younger and went out because you’re just going to strangers’ houses and asking for candy, except when I went to my neighbors’ houses, because that didn’t seem as weird. I decorated my office at work for Halloween the other week and plan on taking them down at the end of this week. At my old job, I had bought a few of the decorations from the dollar section at Target, and the creatures on my office door are the same ones from the front door of our townhouse senior year. What are your thoughts, feelings, concerns when it comes to Halloween? Have you seen a change in how you celebrate since you’re not a kid any more? I outgrew everything about Halloween when I was 12 or 13. Pretty much the only thing I do is hand out candy to kids, which I do enjoy! I enjoy handing out candy, too. We don’t get too many kids but we get some and it makes it fun. Why do I feel like you’re going to try and sneak a picture of your Red Sox desktop background into as many posts as possible? Shhhhh… don’t ruin my plan. Just wait until I decorate my office for Christmas. Halloween allows adults to be silly and gives them a license to be relive their childhood without being picked on because other adults are doing it too. Valid point. But I think “adults” means like actual adults, not like college kids (who are legally adults) because I’ve never heard a good Halloween story from a college student haha. I feel like we’re in the same boat. And I totally forgot to bring in all of our extra candy to work today 😦 I’ll have to bring some tomorrow. Haha, Paul and I have had a few discussions about the whole Rockets vs. Smarties thing. I think it’s really weird. I love Halloween! I haven’t dressed up in years, but I love the whole season. I like to watch non scary Halloween movies, carve pumpkins, decorate, and hand out candy! I think I just like the spirit of it all more than the dress up and trick or treat aspects of it. I’ve always been a pretty big Halloween person, but I definitely prefer more intimate celebrations — aka, smaller parties with people I’m actually friends with. Then it’s an excuse to dress up and have fun with my pals. This year I worked on Halloween, but went to the World Series parade during my lunch break and then went bar hopping with my sister and her friends after work. My office doesn’t do costumes or anything, and then we were mostly at sports bars, so it was definitely more of a World Series celebration day than Halloween itself haha. I’m so jealous you went to the parade! I live streamed most of it on my computer at work and recorded it on my DVR. No one in my department dressed up either, but I did wear orange and black to be somewhat in the Halloween spirit. First of all, sweet office! Secondly, nice costume! Next, let’s talk about Halloween……I enjoy it a little. However, people are nuts and strange. There’s this homeowner in our neighborhood who takes it way too seriously, meaning, they must have spent thousands of dollars decorating their yard with very creepy stuff. Maybe I’m too sensitive or something but the stuff they have on their frontyard is too crazy. If I was a 3, 4, maybe 5 year old I’m having nightmares. They have dead people hanging from trees with bloody severed heads. They have a cage where there are zombies trapped in there. They have a deathlike figure who points with red bones and looks like a creepy witch named Beelzubub. In other words, calm down people! Is there a limit to how far people can and should take it? Where do we draw the line as a society? Having said that, I don’t want to be too judgmental. Whatever floats your boat. However, it is our problem when we have to stare at it each time we drive in and out of our neighborhood (They own the first house). 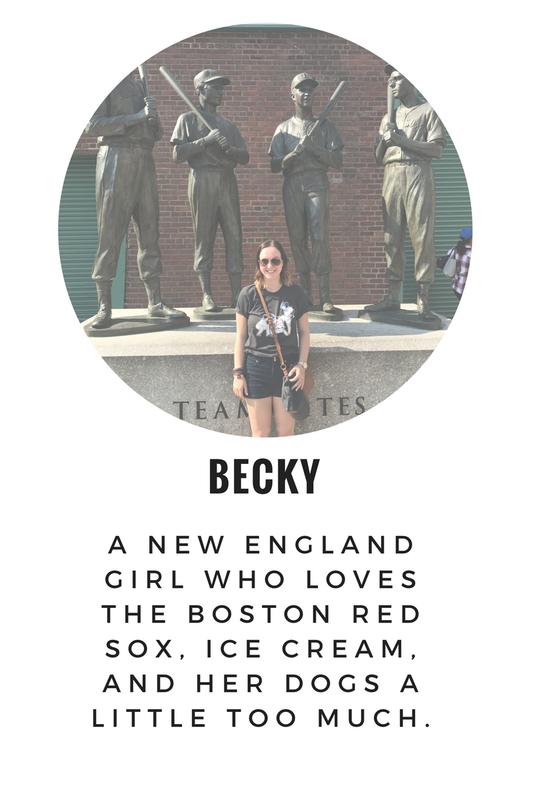 What else……..Congratulations to you and your BoSox! Those decorations sound like a lot. And I’d be freaked out too. A few houses in my neighborhood decorated but don’t sound as scary as the one near you. We normally have more Christmas decorations in my area than Halloween, which is fine by me because Christmas decorations aren’t scary. Thank you! I’m so happy the Sox won, and now I don’t need to stay up until midnight to watch the games haha. I’ll try to take a photo of this dude’s yard. Hopefully he still has his stuff out there. Congrats on the BoSox! What a special team! One of the best baseball teams ever. I actually stayed home from work this past Halloween, because my work makes a big deal out of it where people dress up and decorate pumpkins and I just knew it would be one of those things where you get made fun of for not participating, so I was like eh, I'll pass. Thank you! 🙂 I love my little space and hope the decoration will be a work in progress. I think we have the same outlook. I’m not one for Halloween parties, and I’d rather stay home and hand out candy. My mom and I do it, but I’m the one at the door with the candy, which seems unlike me since I’m not too big on kids. But Halloween is an exception. I can totally see you having the cute family Halloween costumes! I wish people at my job (and even my old job) kind of dressed up. I wore orange and black on Halloween day to work to at least be somewhat in the spirit. But I can also see how it could be overwhelming or you’d feel left out. Halloween is a hit or miss holiday for everyone I think haha. Your office looks awesome, Becky!